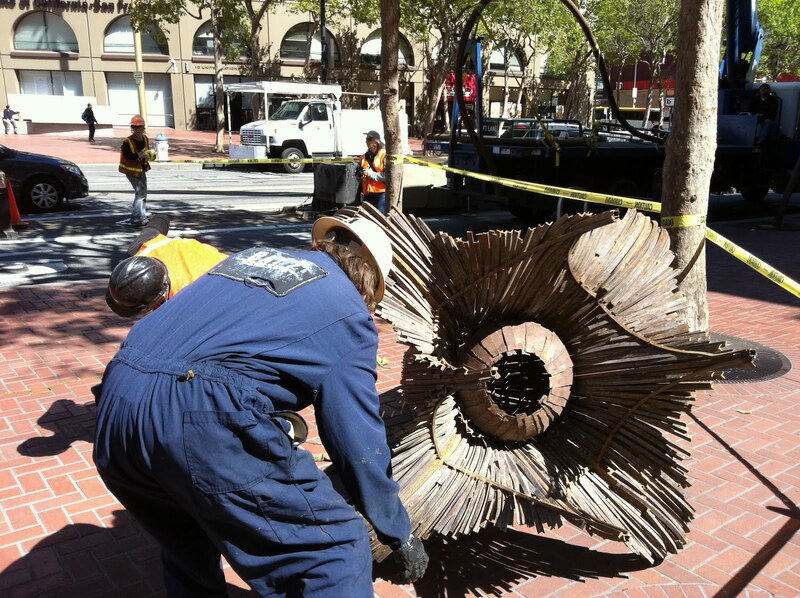 We stopped by to see Karen Cusolito and her crew installing the first part of the Market Street Blooms installation, the Valiant Flower a couple of days ago. 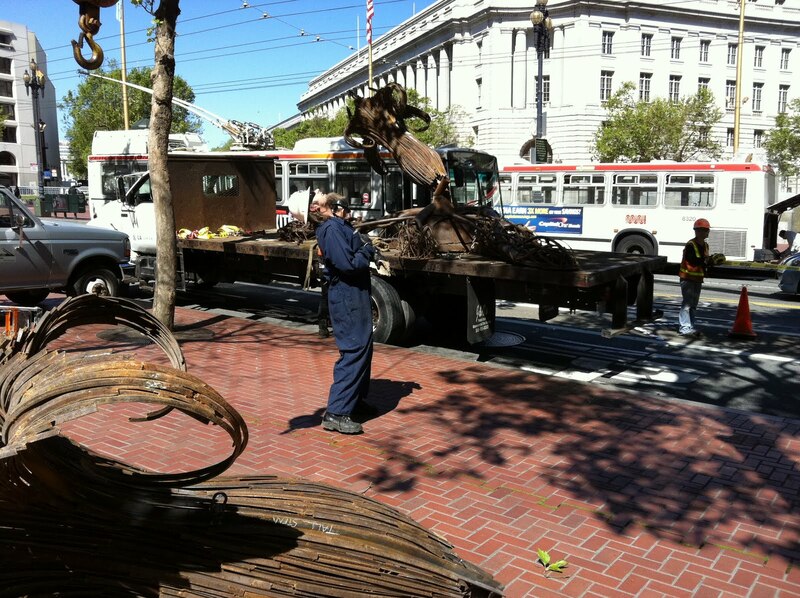 This installation is part of BRAF’s collaboration with the San Francisco Arts Commission as part of their Art in Storefronts program in an effort to revitalize a once-vibrant commercial corridor in San Francisco. We were pleased to note our first blog post sighting, New Flower Art on Market Street last night with some fabulous shots of the flower. In addition, here is a news station video Market Street Blooms Video very fun.